With blessings from Kkat and a talented team working to make the project a reality, I'm very excited to be announcing the official Fallout Equestria Audiobook! 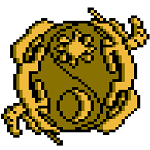 The Fallout Equestria Audiobook Project is a campaign to hire a professional VA to voice the epic tale of Littlepip. 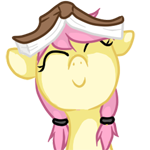 While fan-made audiobooks of Fallout Equestria exist, they are all incomplete, abandoned, or simply of amateur quality. 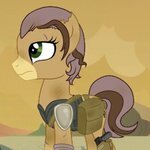 With your help, we’ll be able to truly bring Littlepip’s story to life for the first time. Audiobooks are increasingly the way people enjoy stories within their busy lives. By their nature, they can be listened to during commutes, workouts, and other times when traditional books can’t be read. With your help, we’ll be able to share the life-changing story of Fallout Equestria with everyone, in a format that truly brings the story to life. The indiegogo campaign will be going live in a few hours, you can find the link on the deviantart page above. The quality, so far, sounds amazing and it's nice to hear Littlepip's story told in the voice of a woman. I adore audiobooks and would absolutely love to have a high quality one to go with my new book. Yes! Looks like my daily routine of checking the forum's RSS feed has finally paid off! The sample's quality is absolutely stunning so far, I'll definitely be backing the project once I'm done sharing the news with other people! Awesome! But doesn't this just shift the problem of having a male read female roles the other way around? Do you have an example of her reading a Steel Hooves or Red Eye line? Also her inflection on the line "why I did what I'm going to do next", sounds like a question when it should probably be a pretty determined statement. Should have the emphasis on "why" as she wants us to have context. Also will she be reading chapter 20.5? With that said the VA does sound really good and all the perks you've set up look tempting, I'll be sure to back you after pay day. If you need anyone to help out with pre... listening... to parts I'd be more than happy to volunteer my time. Limey wrote: Awesome! But doesn't this just shift the problem of having a male read female roles the other way around? I'd also like to hear some info about this. If you have determined to put a lot of effort into the project, might as well make it perfect if the budget permits. Given that the story is told by a female character, I think a female voice makes the most sense. That said, I do have a clip of her reading a Calamity line which sounds great. It was supposed to be exclusive for conventions, but I might post it to give everyone a better idea of the VA's range. I'm intrigued... I hope this will be good, and I'm wishing you good luck with this project! For me, ScorchMechanic is the voice of FoE, I wish he finished his audio book, or recorded it anew. In this promo video, is the female voice supposed to be Littlepip? She speaks with too much power/emotion imo. I want to be able to listen to an audio book for hours without getting exhausted. Will you have different voices for different characters? Different dialogue and narrative VA? Any relation/collab with the people put together http://gardensofequestria.com/index.php/audiobook/ ? Also, when it's all done and the project is over, the audiobook will be free, right? We're only paying for the production in the campaign, right? djazz wrote: I'm intrigued... I hope this will be good, and I'm wishing you good luck with this project! ScorchMechanic's rendition is great, but as you say, it's incomplete. It's often the nature of volunteer fan projects that things are left unfinished, which is why we really want to get a professional VA to read the book. djazz wrote: In this promo video, is the female voice supposed to be Littlepip? She speaks with too much power/emotion imo. I want to be able to listen to an audio book for hours without getting exhausted. Yes, she is the voice we chose for Littlepip after listening to literally hundreds of VA samples. We thought she captured Littlepip well, but of course opinions will vary. While we'd very much like to use her, and her quote for the project is what we based the project budget on, our VA choice is not set in stone. There are other VAs who quoted us similar (or slightly lower) prices, so if enough people want a different voice, that remains a possibility. djazz wrote: Will you have different voices for different characters? Different dialogue and narrative VA? We'll have one VA for the project, as is typical even for professional audiobooks. Using multiple VAs dramatically increases costs, especially due to the extra editing work. We have an audio clip which we'll post at some point in the campaign with the VA voicing both Littlepip and Calamity: she does an excellent job doing voices for different characters. djazz wrote: Any relation/collab with the people put together http://gardensofequestria.com/index.php/audiobook/ ? We're a separate team, though we certainly appreciate their work remastering Crazedrambling's audiobook and would welcome help if they wanted to give it. djazz wrote: Also, when it's all done and the project is over, the audiobook will be free, right? We're only paying for the production in the campaign, right? Yes-ish. We will not be charging a single penny for the audiobook after the crowdfunding campaign. However, we do want to reward the people who actually made the audiobook possible, so we'll most likely make the audiobook available only to backers for a limited amount of time. We will also probably only offer the highest quality of audio formats to backers, ie backers will get 320kbps MP3 or lossless formats while the free version will be 128kbps MP3. Thanks for your interest, and sorry for the late reply (been busy at Trotcon all weekend)! Thanks! I don't have a Steelhooves or Red Eye line, but I do have some Calamity ones which I'll post publicly at some point during the campaign. Chapter 20.5 may be a stretch goal, but I've not gotten permission yet from Pacce to include it. Unfortunately, using multiple VAs dramatically increases costs (in large part due to the extra editing involved) which is why even professional audiobooks usually stick to one VA. Given that the story is largely Pip's inner monologue, a female voice is going to sound right most of the time. With that said, this VA's ability to speak both male and female voices is quite good and I'll be sure to post her Calamity sample to demonstrate. djazz wrote: For me, ScorchMechanic is the voice of FoE, I wish he finished his audio book, or recorded it anew. Did you know he went on to narrate the radio play version of the story but I think that's another project that kinda died unfortunately. Here is the link to the first episode I'd you're interested. Of course! I loved his narration there!